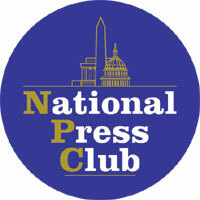 Exactly one week after the presidential election, on Tuesday, Nov. 9, Haverford College will sponsor a unique media roundtable event at The National Press Club featuring alumni journalists John Carroll '63 (The Los Angeles Times), David Espo '71 (AP), Norman Pearlstine '64 (Time, Inc.), and Juan Williams '76 (NPR, Fox News). Moderator will be Michel Martin of ABC's "Nightline." Discussion will center on the media's role in the 2004 election. A link to a webcast of this event will be provided on the Haverford homepage. For more information, please contact Jill Wharton in External Relations, jwharton@haverford.edu.